Goal is to raise $3000 by October 31st. Goal was achieved right on time! No doubt I'am getting ready for the pretty huge challenge for me - I will be running the New York City Marathon this November. What makes this a challenge? Eight months ago I quit smoking after 12 years of doing so. And I never ran marathons and actually never considered myself as a long-distance runner. Or any-distance runner. So I decided to change my own life and also to try to help making somebody else's life a little bit easier - so I'm running this marathon for an uber-worthy cause. I am running to raise money for The YAI Network, organization that makes people affected by developmental and learning disabilities lives a little bit easier. I would appreciate if you would help me out by making a donation. The goal is to raise at least $3,000 over the next few weeks. Please, consider supporting a good cause - every donated penny will go to The YAI Network. The YAI Network is an organization that provides a full range of health and human services to people of all ages with developmental and learning disabilities and their families. The YAI Network serves more than 200,000 people every day through its seven not-for-profit agencies, which reach from the New York City/New Jersey metro area to Puerto Rico and the U.S. Virgin Islands. YAI's services start at birth, through all the transitions of childhood, adolescence and adulthood until the end of the lifespan. You can read more about YAI on their website. Everyone who is going to donate more then $20 will be entered to win Nike FuelBand. The winner will be announced on November 1st on my running blog. * This contest has not been approved or endorsed by Nike. will make. I’m not even saying that this is a coolest watch ever. What it tracks? More info available on official FuelBand website. Donate more then $20 for a good cause that I support and you will be entered into the contest. Come back on this website on November 1st to see if you win. The premier event of New York Road Runners, the ING New York City Marathon is one of the world's great road races, drawing more than 100,000 applicants annually. The race attracts many world-class professional athletes, not only for the more than $600,000 in prize money, but also for the chance to excel in the media capital of the world before two million cheering spectators and 315 million worldwide television viewers. As any one of the more than 700,000 past participants will attest, crossing the finish line in Central Park is one of the great thrills of a lifetime. The first New York City Marathon, though, was a humble affair. In 1970, 127 runners paid the $1 entry fee to NYRR to participate in a 26.2-mile race that looped several times within Central Park. Fifty-five runners crossed the finish line. 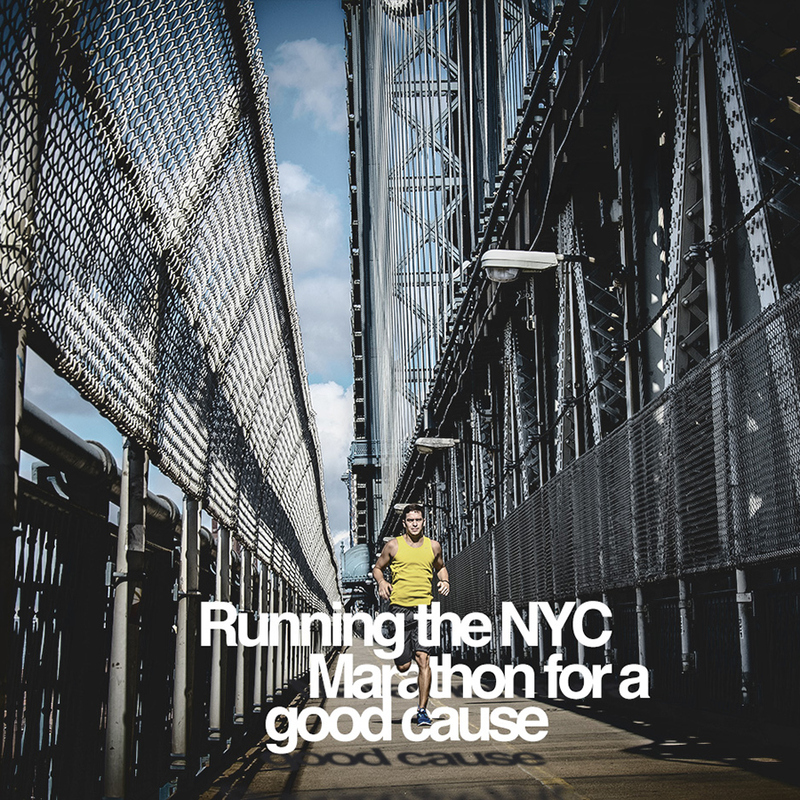 Read more about NYC Marathon here. Please, help spread the word - like my page on Facebook! Instagrammers on the run? Follow me! Development: Vladimir Sobolev | Creative Direction, Design, Photography: Alesya Sklyarova. That’s a T-Shirt that I’m going to wear on a NYC Marathon. Make a donation and HAVE YOUR COMPANY LOGO ON IT! That’s Nike+ FuelBand that I wear to track my performance. Make a donation and win one for yourself!